You can get a free (large) sample of Elactrasol dishwashing detergent. If you have a dishwasher this freebie can’t be ignored. Get your free Elactrasol dishwashing detergent here. Montana is offering a free sample of Arabica Gourmet Coffee. 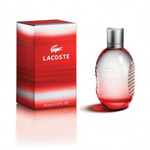 You can order your free sample here. 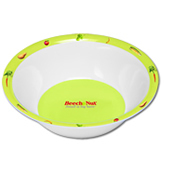 Sign up for beach-nut’s newsletter and receive a cute little Beech-Nut bowl for free. Please only sign up if you’re seriously interested in their newsletter to avoid harming their business. You can get this free bowl here. … Yes! 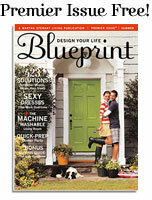 you can get a free issue of Blueprint. Blueprint (Martha Stewart) is a â€œnew magazine with timeless and easy beauty tips for your home, your wardrobe, your lifeâ€. Blueprint team are offering a free preview of their premier issue. You donâ€™t need a credit card to subscribe but youâ€™ll need to phone/email to cancel the subscription after you receive your free issue, to avoid getting annoying bills. You can get your free issue here. Join the Pizza Pizza Kids Club and get a cool birthday card mailed to your home plus a FREE pizza and pop on your birthday each year! Offer applies to children aged 12 and younger. You can join the Pizza Pizza Kids Club here. Iâ€™m not a vegetarian, but here you go anyway: Fill out the form here and PETA will mail you their colorful (and boring?) vegetarian starter kit. The kit includes recipes, tips on making the switch and probably fake photos of animals being tortured by humans. 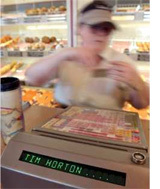 Validate your copy of Microsoft Windows here and receive a $5 Tim Hortons Gift Certificate. I just canâ€™t wait for my free $5 Timmy’s Gift Certificate! Join photomax.com and get 20 photo prints free of charge. You can signup here to get your 20 free photos. Trans-Herb Tea are offering a free sample of their Maple Tea. If youâ€™re interested in trying out their maple tea you can order the free sample here. Ganaeden is offering a free 8-day, trial-size sample package of several Digestive Advantage products. If youâ€™re interested in their products you can order a free sample here. Update: this Freebie is still available for many countries but not Canada anymore. You wonâ€™t really appreciate the value of this unless youâ€™re a college/university student. Yes! The famous RateMyProfessors.com andÂ RateMyProfessors.ca website is now offering full free membership. You can read all comments on professors for free! 20Â You can’t cheat in her class because no one knows the answers. 19Â His class was like milk, it was good for 2 weeks. 18Â Houston, we have a problem. Space cadet of a teacher, isn’t quite attached to earth. 17Â I would have been better off using the tuition money to heat my apartment last winter. 16Â Three of my friends got A’s in his class and my friends are dumb. 15Â Emotional scarring may fade away, but that big fat F on your transcript won’t. 14Â Evil computer science teaching robot who crushes humans for pleasure. 13Â Miserable professor – I wish I could sum him up without foul language. 12Â Instant amnesia walking into this class. I swear he breathes sleeping gas. 11Â BORING! But I learned there are 137 tiles on the ceiling. 10Â Not only is the book a better teacher, it also has a better personality. 9Â Teaches well, invites questions and then insults you for 20 minutes. 8Â This teacher was a firecracker in a pond of slithery tadpoles. 7Â I learned how to hate a language I already know. 6Â Very good course, because I only went to one class. 3Â Your pillow will need a pillow. 2Â If I was tested on her family, I would have gotten an A. 1Â She hates you already. Here are some free samples. Please only order the ones youâ€™re genuinely interested in using. NotifyPhone provides aÂ free service that will call any phone number in the US/Canada and readÂ a text message that you have writtenÂ to that phone number. It is so easy, quick and fun and is definitely worth a minute of your time. You can try leaving funny messages for your friends too! Check it out here.